The key to a successful painting project is attention to detail. 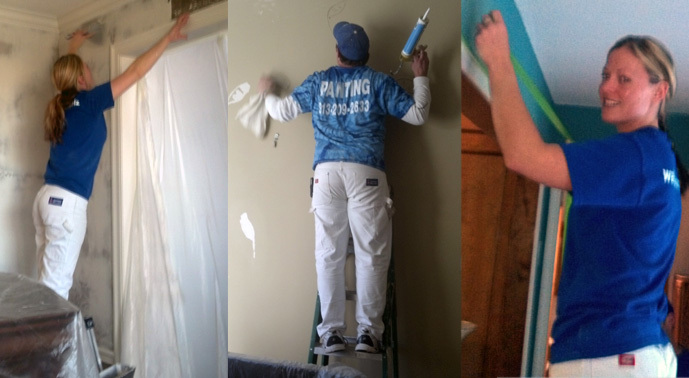 The team at WallpaperProPainting.com has combined over 60 years of experience working in some of the most luxurious homes in Overland Park KS and its surrounding areas. Our lines are straight, our finish is smooth, and we use only the highest quality paints. We respect your home and do all we can to contain the dust. We plastic off the rooms and furniture, protect flooring and clean up after each job. We have had customers say that their home is cleaner than when we arrived. "Our quality work, professionalism, and attention to detail have afforded me the opportunity to wallpaper for three generations of the same family. I will provide you with the same level of quality work and guarantee your satisfaction."